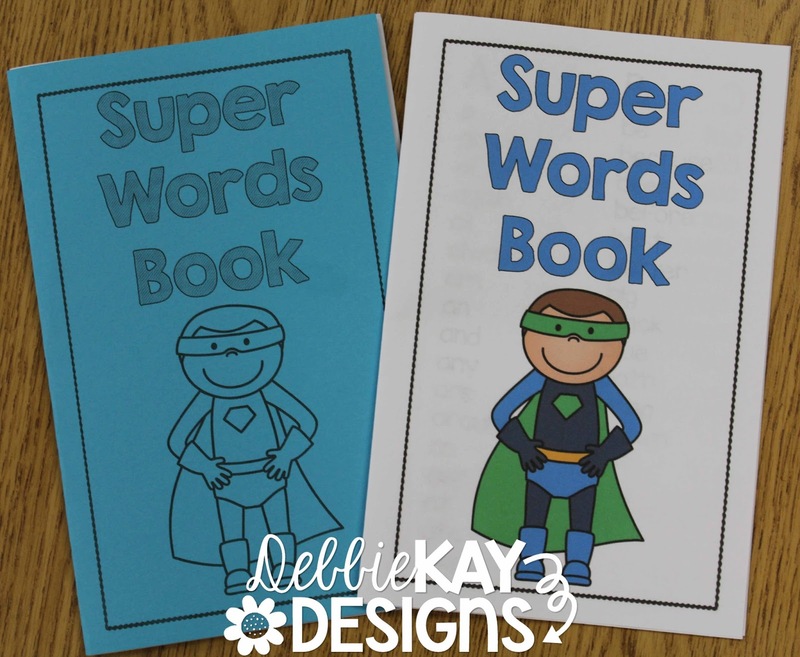 New in my series of coordinating Super Words resources... Super Words Books!! 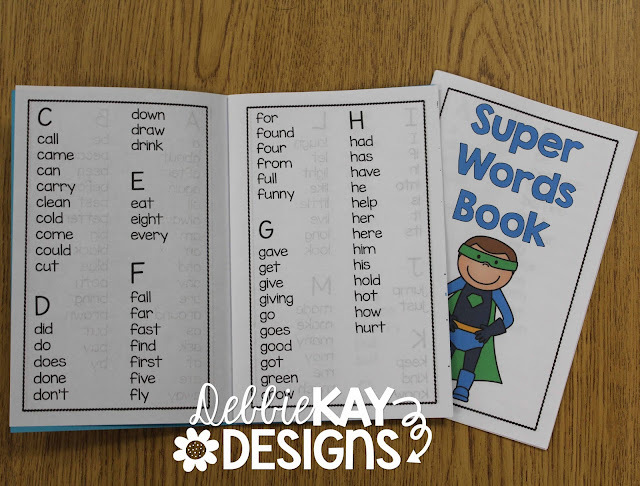 In my class we refer to sight words as Super Words, because once you know them, you have reading power! 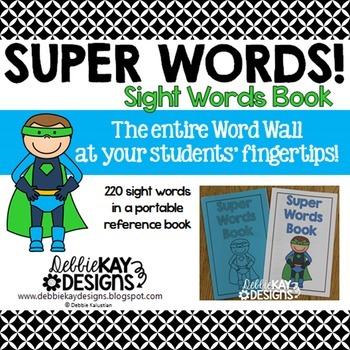 So, Super Words Books are really sight words books. This year, I'm not going to use a word wall. I know! I can almost hear you gasp at the very thought. I've been blogging about some of the changes I am making to my classroom for the coming year, many of which are inspired by the direction my school district is going. There is much discussion about what should and shouldn't be posted on the walls of our classrooms. What I'm going to try this year is to use a small chart to display the 6 Super Words I am introducing each week, plus the 6 we learned last week. Each week I will rotate them out and add new words. Now, usually, I would staple these to our word wall, but this year we will use these Super Words Books to refer to when we need help spelling a sight word. I'm actually excited about it for a few reasons. 1. No more stapling up words each week and taking all 220 down in May. Yippee! 2. I think it's difficult for my students to see the wall from every vantage point in the room. I often see them straining their necks or eyes to see the words up on the wall. Having a booklet right in front of them will help with this. 3. Looking up words in the book will help us learn ABC order. 4. 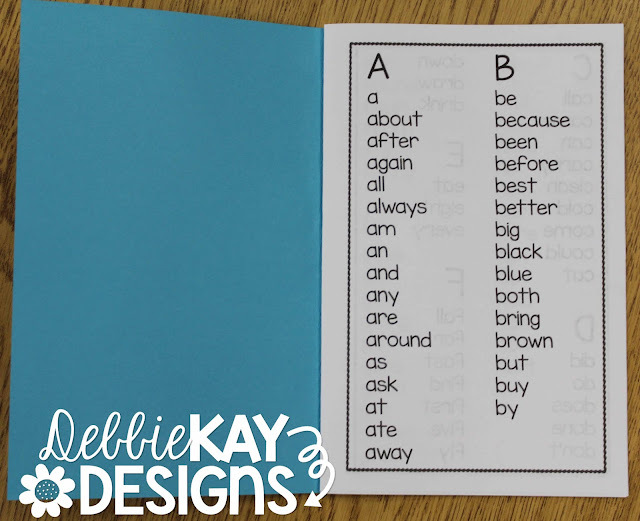 This one is my favorite... Now students will have access to all 220 Dolch sight words from day one. They won't have to wait until it's been introduced and stapled on the wall to have access to it. I have included two covers to choose from: a full color version and a blackline version which can be printed onto colored paper or card stock. Assembly directions are included in the packet for easy printing and stapling. Now my students - and yours - can have the entire word wall (220 Dolch sight words) at their fingertips starting on the first day of school! You can check out the product preview by clicking on the link below... Thanks so much!